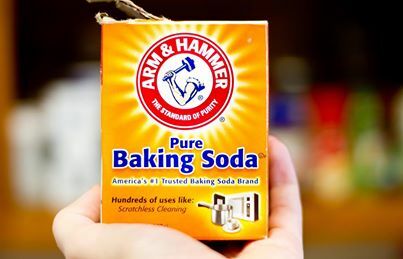 Three parts baking soda to one part water in any quantity will yield a paste that can be applied to the body as a gentle-yet-effective scrub. If you throw in oatmeal, it really delivers the goods. Rinse clean, and enjoy some glowing skin. Just steer clear of your private parts and your eyes if you use it on your face. 1/2 cup of baking soda in your bath water is really the original “bath bomb”. It neutralizes the acids on your skin and helps to soothe maladies like bites, wind, and sunburn. It also softens your skin and removes surface oils and perspiration. The mixture of baking soda with a touch of water as a toothpaste to keep your teeth white and clean is an old-school whitening trick. A teaspoon of baking soda dissolved in about four ounces of water makes for a great mouthwash. For one of the best hand exfoliators ever, mix three parts baking soda to one part water and scrub mixture to your hands and rub it in up to your elbows and across your nails. Rinse clean, apply lotion, and polish your newly sparkling hands.